North Korean leader pledges to make second summit with Trump achieve a result that would be welcomed by the international community. North Korean leader Kim Jong Un pledged to make a second summit with US President Donald Trump achieve a result that would be welcomed by the international community, AFP reported Wednesday. The comments followed Kim’s visit to Beijing, where he met Chinese President Xi Jinping. 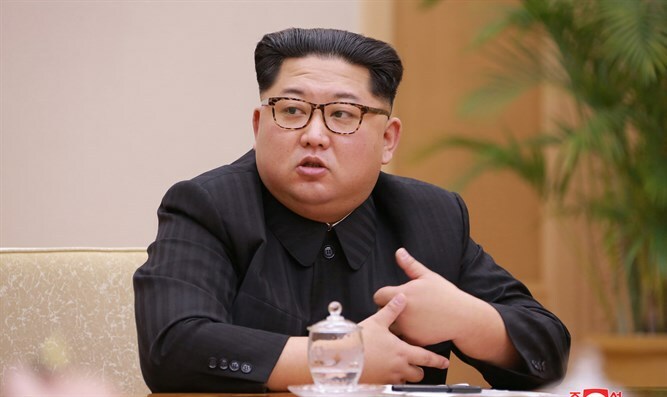 Kim said he hoped relevant sides would take North Korea's "reasonable concerns" seriously and actively respond to them to promote a comprehensive resolution to the Korean peninsula issue, China's official news agency Xinhua reported. During Kim’s meeting with Xi, the two reiterated their support for the denuclearization of the Korean peninsula. Xi told Kim that Beijing backs the North Korean leader's possible second summit with Trump and hopes they "meet each other halfway", Xinhua reported. On Sunday, Trump said that the US and North Korea are negotiating the location of their next summit.